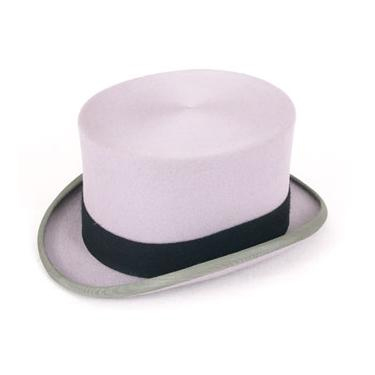 These Ascot Grey Wool Felt Top Hats are being sold from our Ex-Hire stock. This item will have been hired out no more than 3 times, so it is still in good condition. Due to seasonal changes we periodically sell off some of our existing hire clothes at a reduced price to make way for new items coming into our warehouse. Made from 100% Wool, these hats are fully lined and accompanied by an outer Black Melton Wool Mourning Band.